All K-State alumni and friends are invited to the Flint Hills Catbackers Dinner and Auction in Emporia, Kansas! Games, inflatables and more! All kids in attendance will receive a clear drawstring bag full of goodies. Unique athletic commemorative items and ticket packages only available at this event. 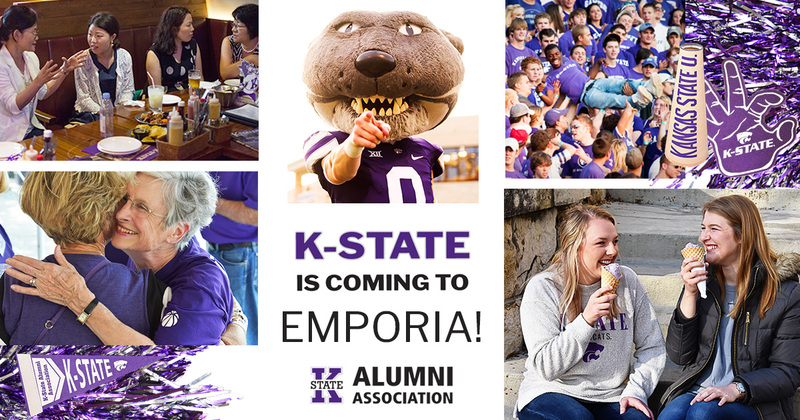 Learn more about K-State, enjoy great food and get a free K-State T-shirt! Also, a scholarship drawing will take place for high school seniors planning to attend K-State in fall 2019. Reservations are due May 28. Dinner will be catered by Bobby D's. By mail: Complete and mail the registration form.